Today I felt it broke through my heart chakra and reached my throat chakra and made it open! So after a long time, I came to sing loud Kirtan of Krishna and walk back home. 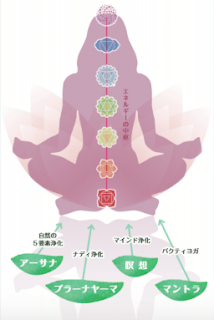 It is probably because often in Yoga class in the morning I use my voice coming from deep inside my belly, and it continuously resonates everywhere in the physical and subtle body and create a good vibration. Vishuddha Chakra governs communication as your conscious in the subtle body comes out as a gross form of words, voice, or sound. 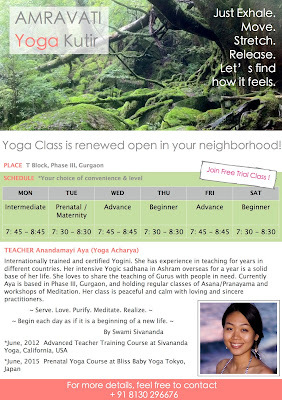 Now that it feels open more, please allow me to announce one more thing about my regular class of yoga. 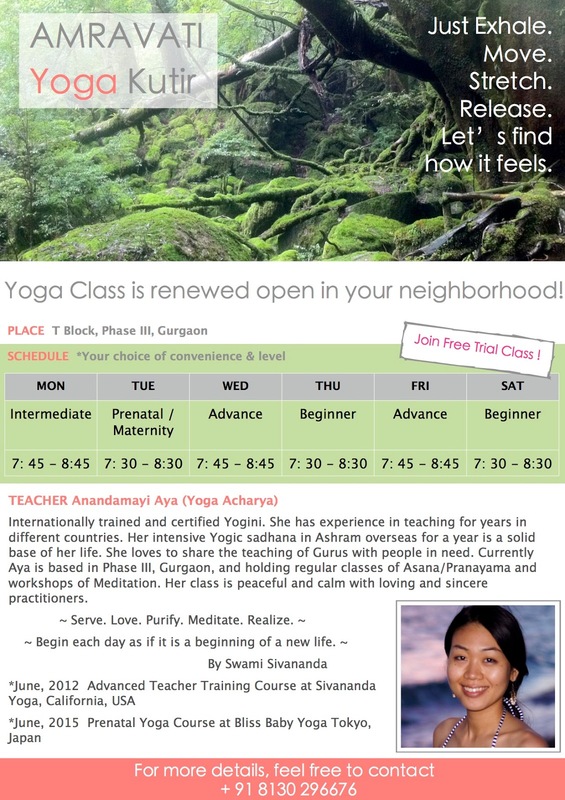 It has been four months since I have started to teach small classes regularly in my home or students place, now thankfully a few good opportunities came together, so I worked out on the new schedule as below and renewed the class with a name which has been in my mind for a while. Amravati is somewhere you reach after competing the cycle of life. So it is translated as heaven/ aboard of the Deathless. Kutir is cottage, cave in my understanding which is the place you practice intensely yoga by the bank of Ganga river, but here you can take it more lightly as studio, space. They are in Sanskrit. Hoping Amravati Yoga Kutir is support and offer us a great space where each of us work on our body and mind through yoga to learn the path to let soul to be free and liberated. Location. Phase III, Gurgaon, close to Ambience Mall and Cyber City.